이스라엘에서 온 새로운 소식을 알려드립니다. 2018년 이스라엘 알리야 중간 결과에 따르면 1월부터 8월까지 수가 1% 감소했는데요, 이는 특히 미국과 프랑스의 큰 유대인 공동체에서의 이민이 적었기 때문입니다. 알리야는 이스라엘로의 이민인데요, 문자 그대로 ‘올라가다’라는 뜻이며 그 과정은 성경에 기초하고 있습니다. 유대인들은 로마 티투스 장군 치하에 주후 70년 예루살렘 파괴 이후 열방 가운데 흩어졌습니다. 이것은 세계가 이스라엘 국가가 수립되기도 전부터 100년 넘게 지켜보아오고 있는 과정입니다. 이것은 하나님 마음에 너무 중요한 과정으로, 성경이 하나님께서 ‘그분의 마음과 정성을 다하여’ 관심을 기울이신다고 말하고 있는 유일한 일입니다. 하나님의 징계는 어떤 면에서는 육신의 아버지의 징계보다 더 강력하지만, 그분의 애정과 긍휼은 훨씬 더 큽니다. 그분께서는 영토를 회복시키는 것이나 다른 축복들보다 그분의 백성의 마음을 회복시키는 데에 더욱 관심이 있으십니다. 땅도 가치가 있지만, 마음은 훨씬 더 큰 가치가 있고, 하나님께서는 아주 인내심이 강하시기에 기다리십니다. 알리야는 이스라엘의 회복의 열쇠일 뿐만 아니라, 열방에 대해서는 하나님의 거룩하심의 표적이기도 합니다. ‘그리하여 열방이 내가 주라는 것을 알게 될 것이다.’라는 문구가 에스겔서에 여러 번 반복되는데요, 저자 자신이 구약시대 바벨론에 단일한 유대인 디아스포라의 일원이었지만, 마지막 때 여러 나라로부터의 전 지구적 알리야를 예언하고 있습니다. 알리야는 마음에 대한 것이기도 하고 숫자에 대한 것이기도 합니다. “야곱아 내가 반드시 너희 무리를 다 모으며” 미가 2:12 - 순종을 통해서든 박해를 통해서든 가난을 통해서든 문자 그대로 온 유대인들의 귀환에 이어 온 이스라엘에게 예슈아 안에서 ‘새 마음’을 주십니다. 이스라엘이 수적으로도 마음으로도 회복되었을 때, 이 백성은 “바룩 하바 베쉠 아도나이”를 외칠 것이며(마 23:39), 예슈아께서 다시 오시어 마귀를 내쫓으시고 이스라엘뿐만 아니라 온 지구를 완전히 회복시키실 것입니다. 그러므로 2019년에 알리야가 회복되도록 기도해 주십시오. 또한, 만약 여러분이 2018년에 주님으로부터 멀어졌었다면, 개인적으로 여러분을 향한 그분의 회복시키시는 은혜가 얼마나 큰지 그분을 시험해 보시고, 그분께 다시 여러분 자신의 알리야를 하십시오. 무엇이 진짜 사랑일까요? 아셰르 인트레이터 목사님이 예슈아께서 그렇게 하라고 우리를 부르신 이기적이지 않은 사랑, 아가페에 대해 말씀을 전합니다. 자막: 덴마크어, 네덜란드어, 프랑스어, 한국어, 포르투갈어, 스페인어, 폴란드어. 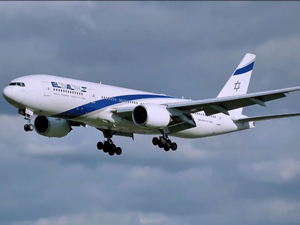 Israel’s interim Aliyah results for 2018 showed a 1% drop in numbers from January to August, due especially to fewer immigrants from large Jewish communities in USA and France. Aliyah is immigration to Israel, literally meaning ‘to go up’ and the process has its foundation in Scripture. The Jewish people have been scattered amongst the nations since the year AD70, following the destruction of Jerusalem under Roman General Titus. Even if you have been banished to the most distant land under the heavens, from there the Lord your God will gather you and bring you back. He will bring you to the land that belonged to your ancestors, and you will take possession of it. The discipline of God is in a way stronger than that of human fathers, but His tenderness and compassion far greater. He is more interested in restoring the hearts of His people than restoring territory or other blessings. Land has value, but hearts far more, and God is patient enough to wait. Not only is Aliyah key to the restoration of Israel, but also a sign to the nations of God’s holiness. The phrase ‘then the nations will know that I am the Lord’ is repeated many times in Ezekiel – the writer himself part of the Old Testament singular Jewish diaspora in Babylon, but prophesying the End Time global Aliyah from many nations. Then the nations will know that I am the Lord, declares the Sovereign Lord, when I am proved holy through you [restored Israel] before their eyes. Aliyah is about both hearts and numbers – ‘new hearts’ in Yeshua for all Israel, following the return of literally all Jewish people, whether through obedience, persecution or poverty - “I shall most certainly assemble all of you, O Jacob” Micah 2:12. When Israel is restored both in numbers and in heart, our people will cry out “Baruch HaBa be shem Adonai” (Matthew 23:39) and Yeshua will return to cast the devil out and fully restore not only Israel, but the whole earth. So, pray for restored Aliyah in 2019. Also, if you have slipped away from the Lord in 2018, test Him to see how great His restoring grace is for you personally through the cross, and make your own Aliyah back to Him. What is real love? Asher Intrater speaks about Agape - unselfish love that Yeshua calls us to. Subtitles in: Danish, Dutch, French, Korean, Portuguese, Spanish, Polish.